A set of high quality 3-D false lashes made from incredibly soft, cruelty-free synthetic fibers that look and feel like real silk mink. Enhance your eye look by adding fullness and length to your natural lashes. This collection of six 3-D silk eyelashes lash styles is cruelty-free and was curated with celebrity makeup artist Mélanie Viger @MUAVEE. 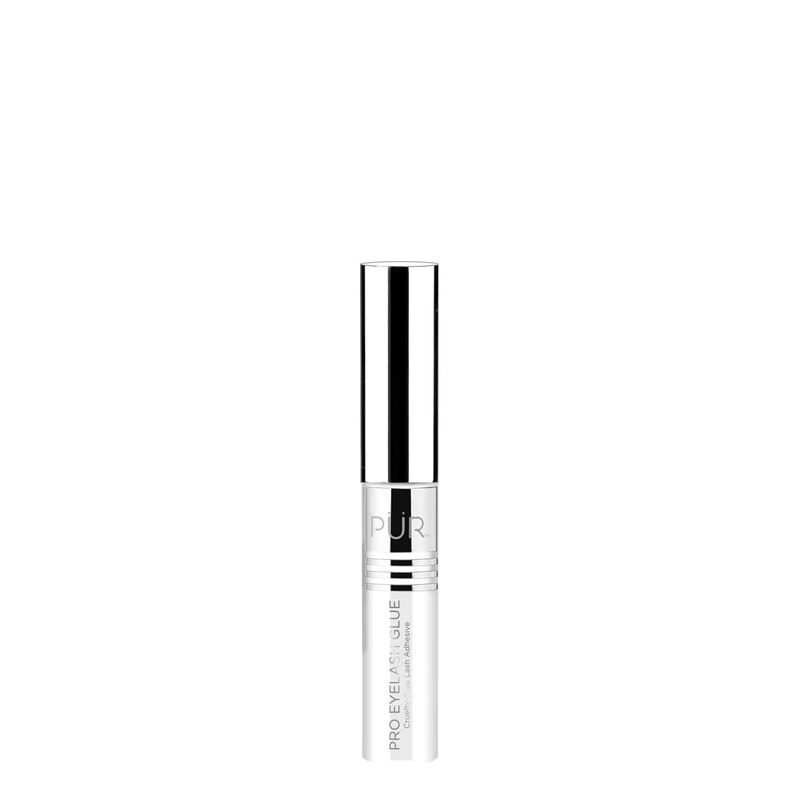 The lashes are handcrafted with the finest luxury synthetic fibers to provide ultra-lightweight, natural-looking lashes. 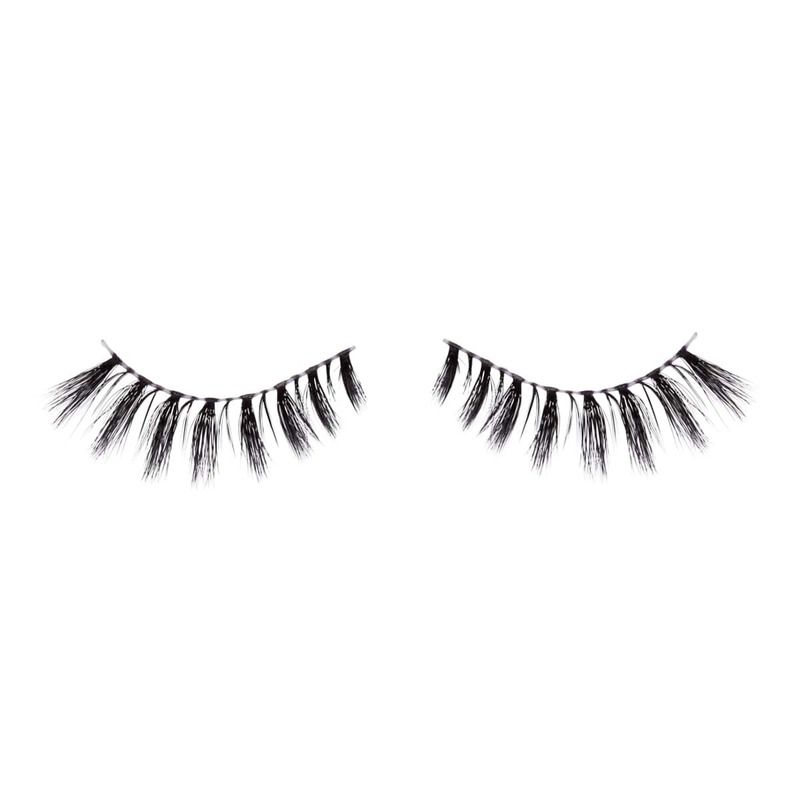 These vegan lashes are durable, reusable up to 20 times and safe for contact wearers. Measure your lashes against your natural lash line. Trim the excess lashes carefully, one lash at a time. Curl and apply mascara to your natural eyelashes. Apply a thin line of lash glue to the lash band and wait 30 seconds for the glue to become tacky. Place the lashes as close to your lash line as possible. Use your fingers to press down on both corners of your lid to secure lashes. These lashes are my absolute favorite!! I always get compliments! This is my second pair because I wore out the other ones! Sturdy packaging- beautiful lash set that looks beautiful when applied. These lashes are so pretty!!!!! They’re also the highest quality lashes I’ve ever used, and I’ve tried everything!! Every single day I get compliments on these! When they say you can wear these up to 30 times they aren’t kidding!!!! I also love hay they come shaped well so you don’t have to adjust them by bending them or anything. These are the only lashes I will ever wear!!!! My favorite are the Socialite but they’re all gorgeous! The perfect amount of volume and length without being too much! Love these lashes! I plan on using them for my wedding day makeup. They give the perfect amount of drama, without being too much. They’re so fluttery I’m in love! I never received my package. I personally love the flexibility of these lashes! It made them easier to apply and to wear! Love PUR eyelashes. I originally received a pair in my Boxycharm. I loved them so much I ordered 4 pairs. The quality is superb. I recommend these lashes for anyone going for a natural look. I liked these lashes! They look like natural lashes which is an indication that the lashes are of high quality. I’d purchase a smaller size but loved the quality. These lashes are absolutely amazing. They’re so soft and natural looking, yet very glamorous and full. These are some of my favorite lashes I’ve ever tried! I’ve tried a couple different types of the lashes and I have to say they’re one of my favs! The band is just the right size and I don’t feel as if they’re weighing down my lashes. They feel light weight and natural. This is something I really look for in a lash! So soft and easy to apply! These lashes were so easy to apply! They are so soft and has a lot of volume. These lashes are so beautiful and lightweight. The style is not overly dramatic and are perfect for a night out! 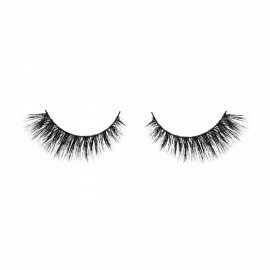 The lashes have a nice medium size band which makes it comfortable to wear. I would just say be really careful when taking them out. These lashes are so stunning and soft. You barely feel them on your eyes and the hair structure feels like real hair. These eyelashes are everything ! The band is very flexible making it easy to work with ! The lashes itself are beyond gorgeous! I get compliments every time I wear them ! I even get asked if they’re my real lashes ! I’ve clean these lashes once and used them over five times ! I’ve had no shedding and they’re still in place ! Best lashes I have tried thus far! Highly recommend! Not only do they look killer, I have had these bad boys bent out of shape and squished many times and they have always re-shaped themselves to their original shape. It's amazing! 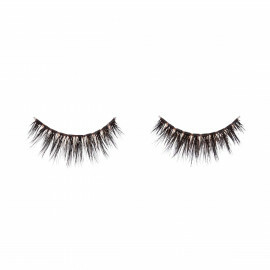 These Pur Cosmetics eyelashes are every easy to put on. After I put them on, they made my eyelashes look so much better. But they still looked natural, because I wasn’t wearing a super dramatic style eyelash. If you want dramatic they have those kind of styles as well, but I was going for a more natural look and this is exactly what I got when I used these Pur Cosmetics Eyelashes. 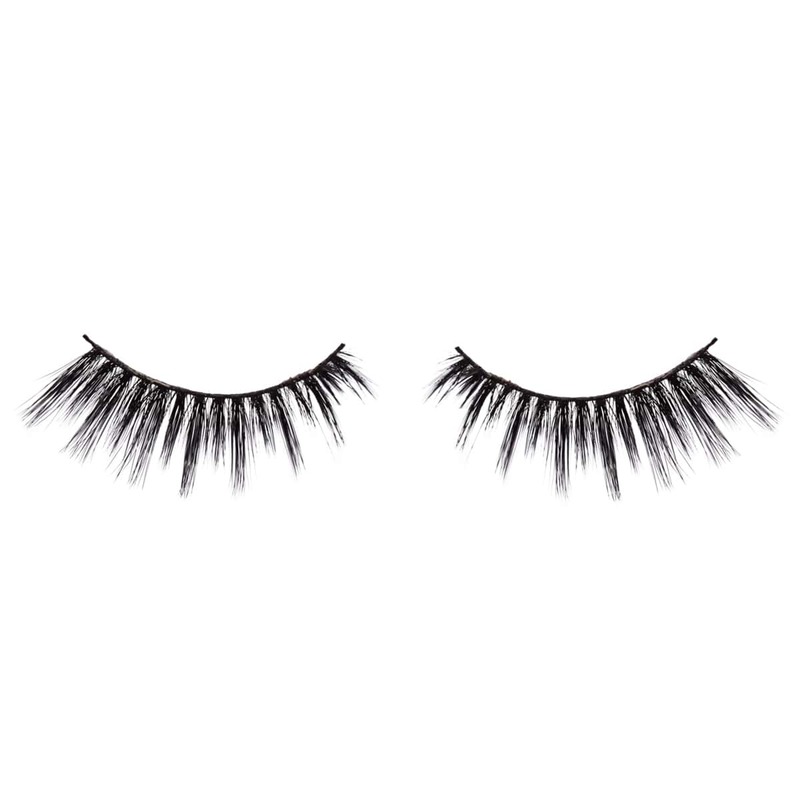 I absolutely love these lashes, I got them as a give and have been purchasing them ever since. I always get compliments whenever I wear them as well. I have had mine for over 2 months and they are still in great shape! Great quality and GORGEOUS! I got mine in a Boxycharm. I love this product! It makes my eyes and makeup pop and adds flare to any look. These a must-have for parties. These are so luxurious looking! The add a lot of drama, I love the shape, they are comfortable, and easy to care for- love them! These lashes look natural and amazing on. I only do lashes on special occasions so it was a little difficult for me to put them on. These lashes look so beautiful on, and they go on so easily. They will last for up to around 20-25 uses if taken care of properly. The only thing I would change is to have more options with more dramatic styles. Will never use any other brand for lashes besides PÜR and velour! 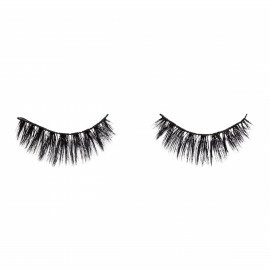 These are the lashes I save for special occasions! They have just a smidge thicker band than I'm used to, but that's actually great because they hide any flaws in your eye makeup. (Not that you had any!) These are by far a favorite of mine and my friends!! These lashes make you go from a 2 to a 10. From basic to sultry. I cannot get enough!!!! I received these in Bombshell in my August Boxycharm and they're my absolute favorite! I've worn them to several festival cuz they're so comfortable to wear and are the only lash that stays put for the whole event. Also, they're still in perfect condition!!! So beautifully made. I personally prefer bigger sets of lashes. These are beautiful and whispy, they are nice and fluffy but I need something more dramatic personally. It is always hard to find cruelty free and/or affordable lashes as well as being good quality lashes. But Pur has done that. Pur Cosmetics makes my all time favourite lashes. They offer a 3D effect and are super fluffy and gorgeous. The band is not too thick, they are beyond easy apply, and they are SO comfortable to wear. They add so much flare to a simple makeup look, and the price is incredibly reasonable. I prefer these lashes to other brands offering similar styles based on all of these factors, and I always recommend them to friends! Socialite and Diva are my favourites! This lashes are so fluttery and beautiful they give a full eyelash look but they still dont look too dramatic. They last for many many uses. They are my favorite lashes! 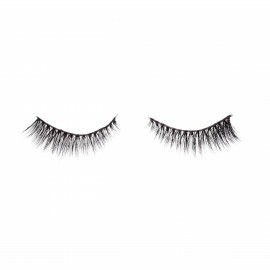 These lashes are awesome for a night out or even a day of glam! It is not the best eyelashes but it is not the worst either. It is still flattering and look very natural. This was actually my very first pair of falsies ever! They were easier to apply than I expected. They weren't too stiff and I couldn't really feel them on. I love how they are so full! I will definitely purchase these again! Perfection!